StriVectin engineered this formula with their powerful, patented NIA-114. Invented by Skin Scientists and clinically proven to strengthen and nourish the moisture barrier, NIA-114 results are documented in multiple global patents and years of clinical studies. 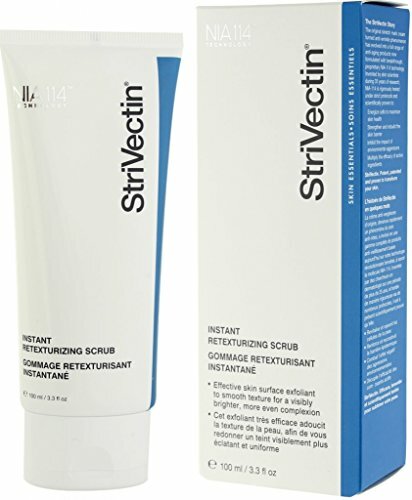 StriVectin’s Instant Retexturizing Scrub, with NIA-114 encapsulated in spherical jojoba beads, is clinically proven to smooth skin and improve texture with regular, twice a week use. If you have any questions about this product by StriVectin, contact us by completing and submitting the form below. If you are looking for a specif part number, please include it with your message.